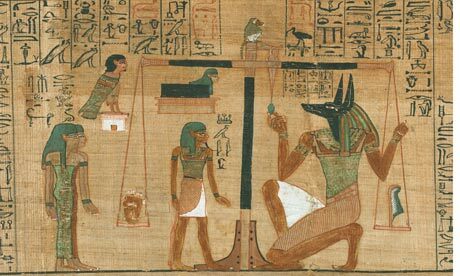 I have just been alerted to the launching of a new exhibit at the British Museum, "Journey Through the Afterlife: The Ancient Egyptian Book of the Dead." The exhibit, as the British Museum website explains, will show not only examples of the Book of the Dead never before seen, but also funerary figures, statues and coffins illustrating "the the many stages of the journey from death to the afterlife, including the day of burial, protection in the tomb, judgement, and entering the hereafter," all with the aim of discovering "the important mythical and spiritual ideas of ancient Egyptian life and death." The ‘Book’ was not a single text but a compilation of spells designed to guide the deceased through the dangers of the underworld, ultimately ensuring eternal life. 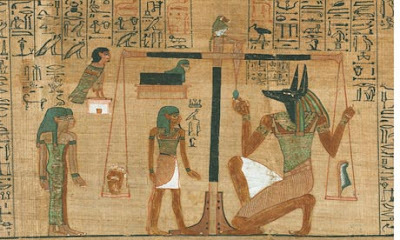 Digital media and recent research will be used to interactively interpret the Book of the Dead and complete scrolls will be reassembled and presented in their original form for the first time. You can find out more about the exhibit--which runs from November 4 until March 6-- on the British Museum homepage by clicking here, can watch a short video introduction to the exhibition by clicking here, and can read more about it in today's Guardian by clicking here.